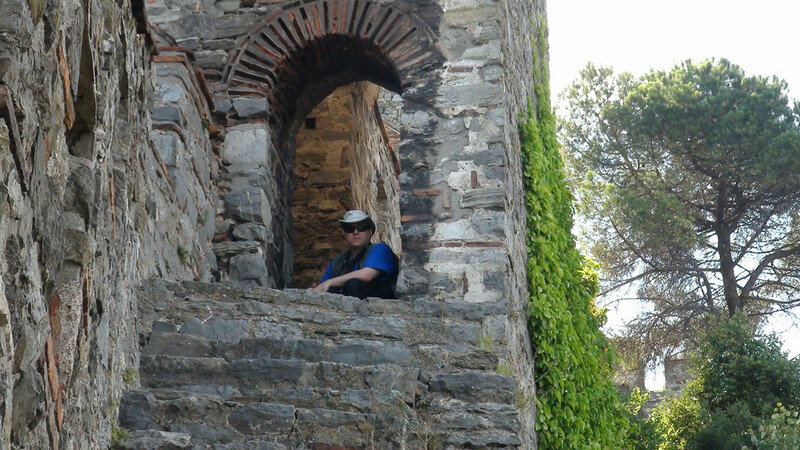 I can’t believe its already been 12 days – the Istanbul trip will be over soon but there is still much to do! First, with a few more days of filming I needed another shave – It was nice going back to the same barber – this was my fourth shave! Before we left we took a nice group shot. 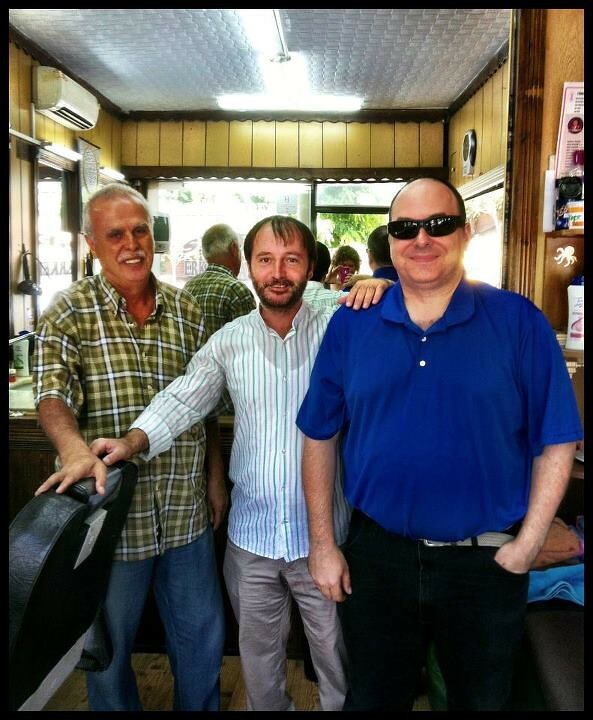 I wish we had barbers like them in Cleveland! Now, everyday we leave the hotel and get accosted by the various merchants in the Hippodrome. One guy remembers us and always sells us a bottle of water. The guidebook people however never seem to realize that after 2 weeks if I haven’t bought your guidebook I am never going to buy your guidebook. But there is this one kid who keeps beckoning us to see his uncle’s carpet shop and I always say – not now – maybe later. Well today he stopped me and told me that later was now. So what the hell – we went to see his uncle’s carpet shop. To be honest he had been very polite and friendly and we figured it would boost his image if he actually got someone into the store. When we entered the shop we did explain to his uncle that we probably were just looking as we were poor teachers and asked if we could film. He said yes and started the demo. 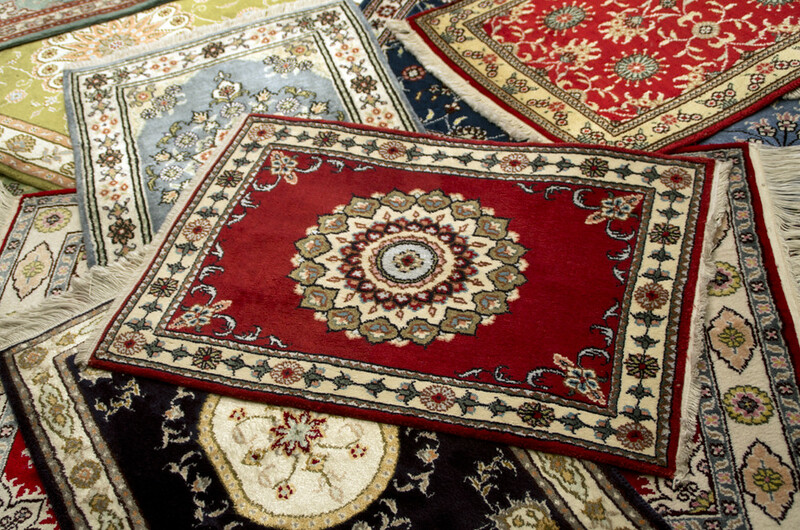 Now most Turkish carpet demos have a lot of flair – sometimes too much flair – and he realized we wanted a quicker show which is what he gave us. He brought out the carpets, threw them up in the air, showed us that they are different colors from different angles etc. Very fun show. He even brought out some smaller ones – ones that I have to say as wall hangings were in fact affordable. I of course had no intention of coming home with a carpet which it turns out makes it the perfect gift so Amanda surprised me by purchasing one for me as a present – which is very lovely and completely silly considering how hard she has been working on this film for the past 2 weeks! 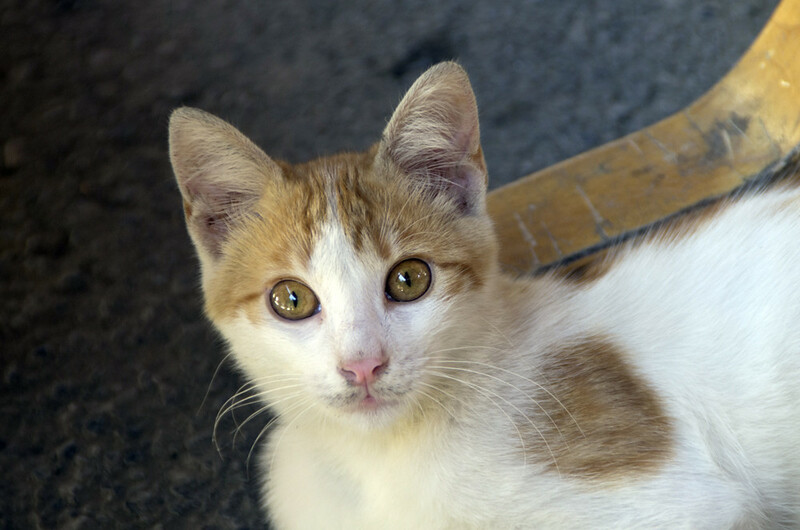 It is amazing how small they can fold the carpet – it is so tiny wrapped up! Next to the Arasta Bazaar! Now this is a very old bazaar filled with high end (read pricey) stuff that is also very low key (which is pretty rare). I wouldn’t go there to buy – more to browse . 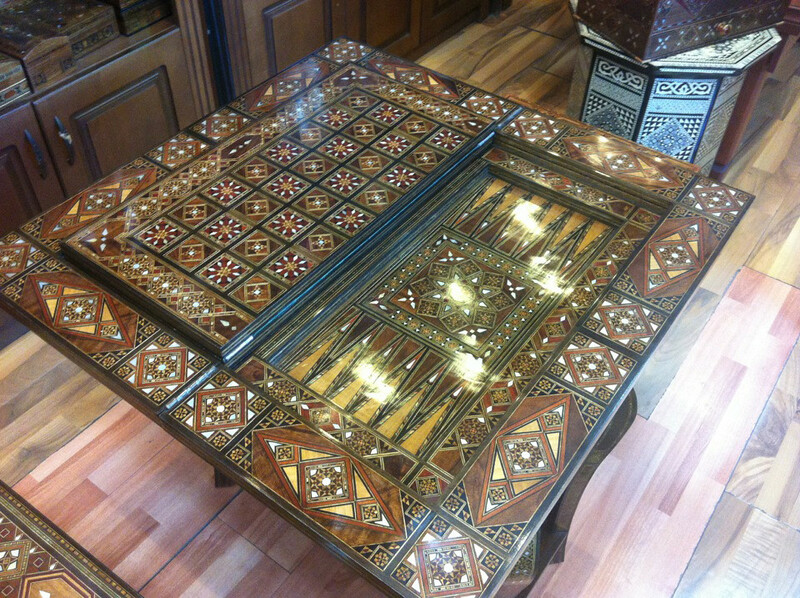 There is this one store that has the most amazing inlay boxes and backgammon sets you have ever seen and so we browsed there for a bit. We did start to realize that his quality was better than anything we had seen anywhere and in addition to letting us film (for quite a while) he started to make us some really nice offers – we purchased a lot of our high end souvenirs from him. 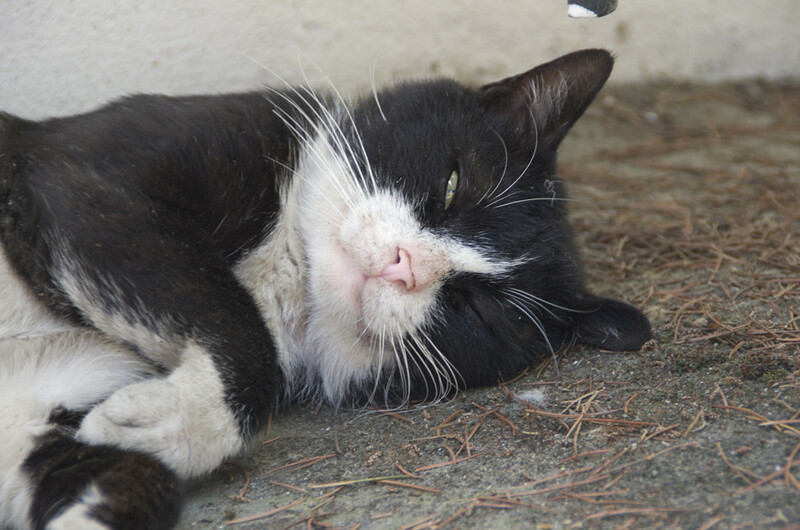 It was great until he started to try and push carpets – and then we ran away. The Bazaar is right next to the Blue Mosque and you are probably wondering if it is so close to the Blue Mosque and our hotel why we didn’t go to it earlier. The answer is simple – inside of the Bazaar is the Palace Mosaic Museum which has been under renovation and literally just reopened yesterday! 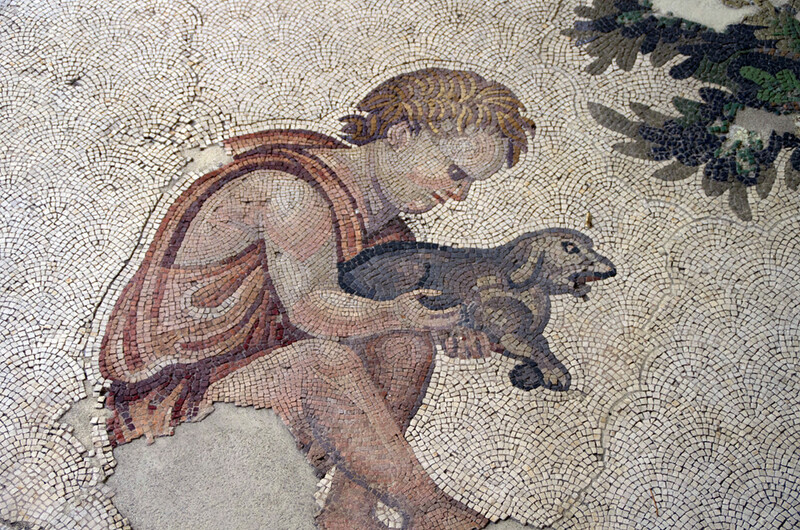 The Palace Mosaic Museum isn’t a collection of mosaics but is in fact one giant mosaic that was unearthed right there and then a pavilion was placed around it. 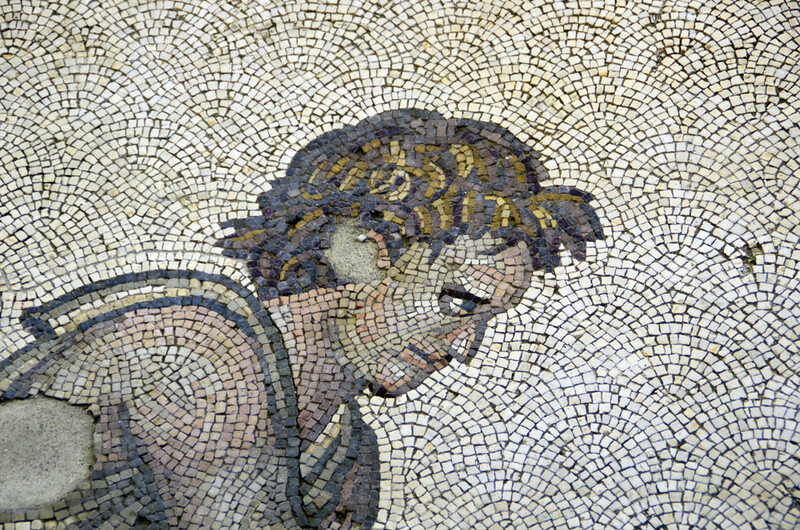 Its a very interesting structure – I couldn’t tell too much difference with the renovation other than that some of the mosaics were harder to photograph. When you look at the gallery I have a sample and then I have augmented it in Photoshop for contrast and color – I can only imagine what they were like back in the day! Before we headed back to the hotel to drop off our packages we stopped for lunch at this little cafe which I had been to twice before (last year and the year before). 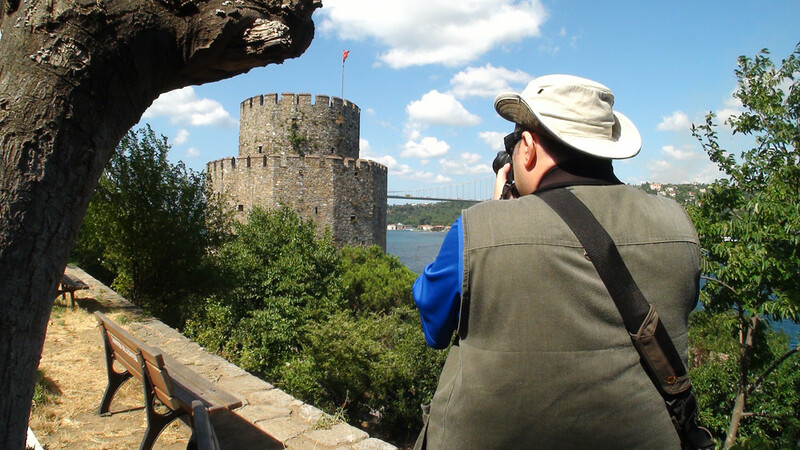 Now I didn’t blog my Istanbul trip last year (as many of you know the blog stopped after my 2 weeks in central Turkey). For the most part this hasn’t been a problem as my film has been to do those things which I did last year (and the year before) again and to augment those experiences with more adventures. So in fact, dear reader, all you are missing are the occasional anecdotes from previous years which I have been trying to put in when relevant. This is one of them. So last year Tim and I are sitting in this cafe. The menu is hysterical as it offers an item which it describes as “layers of pastry filled with food”. Well we wanted something different so we asked what type of soup they had (it is in fact on the menu) and he said they didn’t have any soup today. Fine. We order our lunch, and while we are eating we see a man across from us and he is eating soup! So we politely call over the waiter and ask him how come he was able to get soup if there wasn’t any soup. At which point the waiter explains that the man has no teeth and they prepare his meals special for him. Oops. 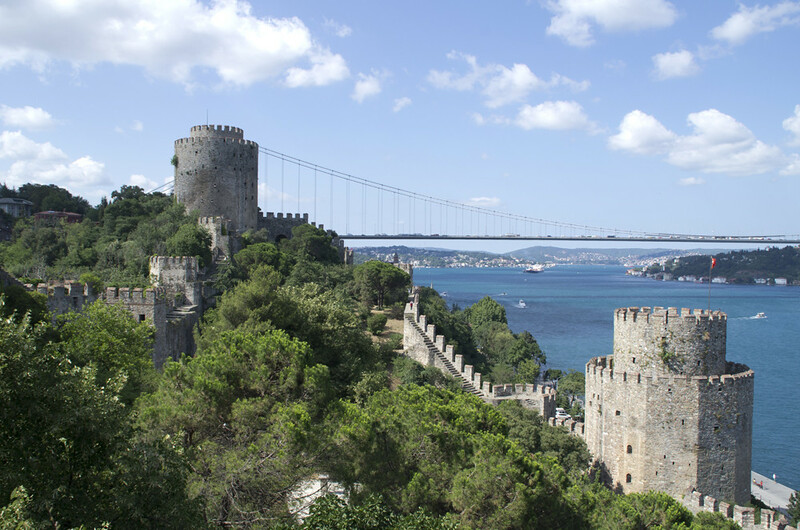 So we drop everything off at the hotel, take the tram to where it ends and grab a taxi to Rumeli Hisari (the Fortress of Europe). Now I love this place. 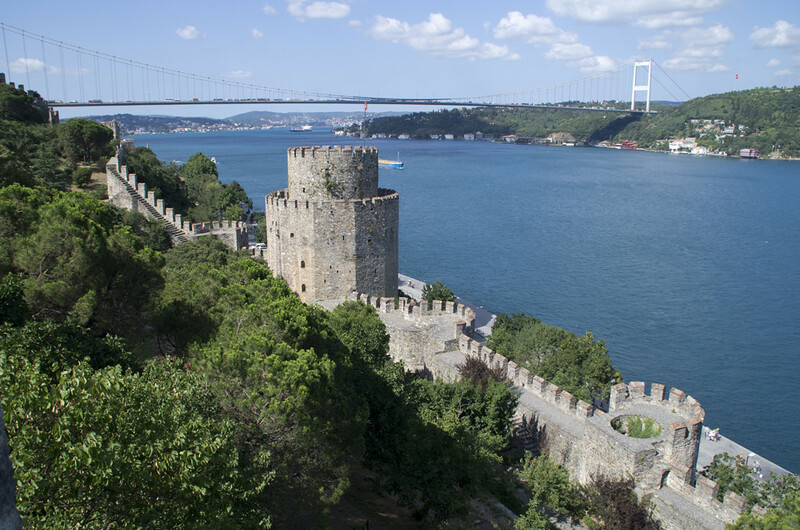 It’s a 15th century fortification right across the water from the 14th century Anadoluhisari and it was built to aid in the conquering of Constantinople in 1453. 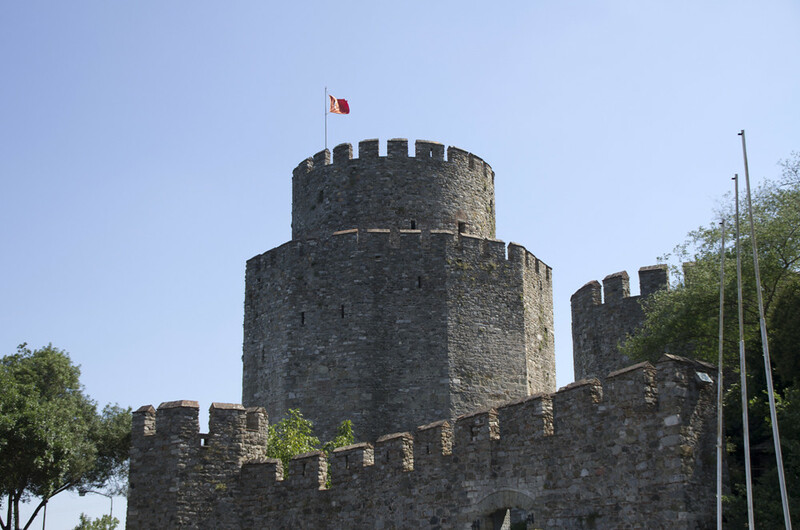 What is awesome about this VERY intact 3 towered fortress is that it was built in 4 months and 16 days! That’s right 4 and a half months! Some castles I have been took decades to build. Of course one story I heard is that the Sultan gave each of the viziers a tower to be responsible for and their record pace was in fear of his wrath! 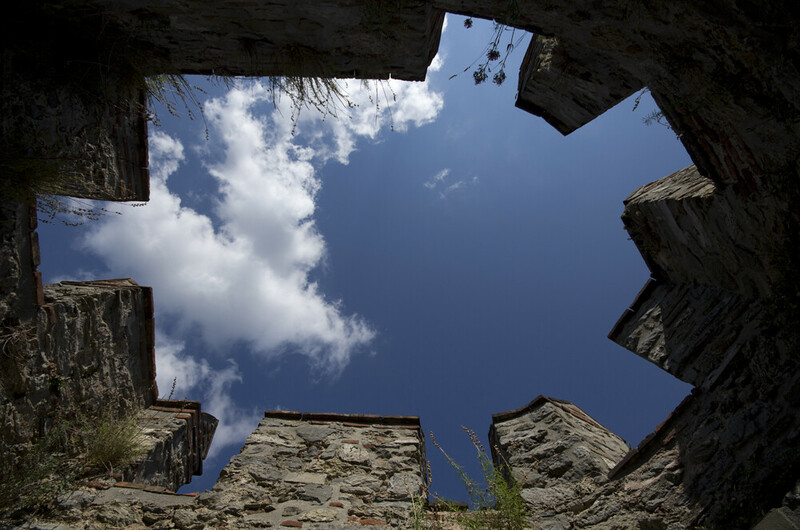 They call the fortress an ‘open air museum’ meaning – go where you like, do what you like, please don’t get killed. 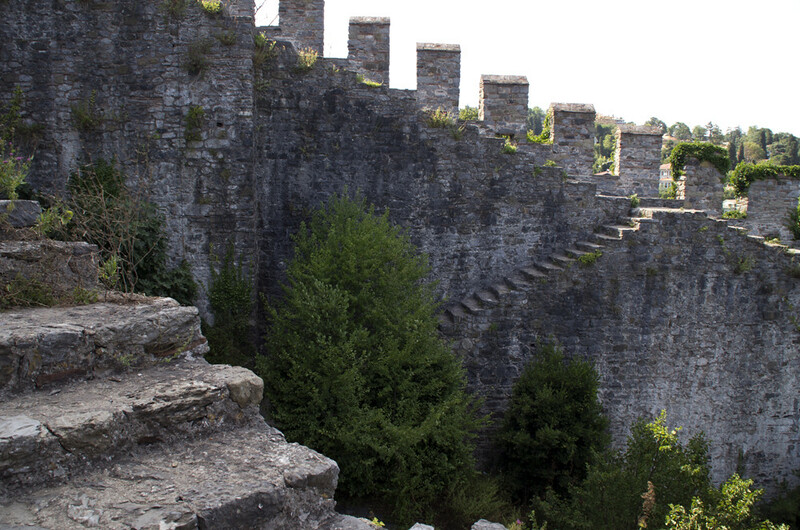 There are no railings anywhere! 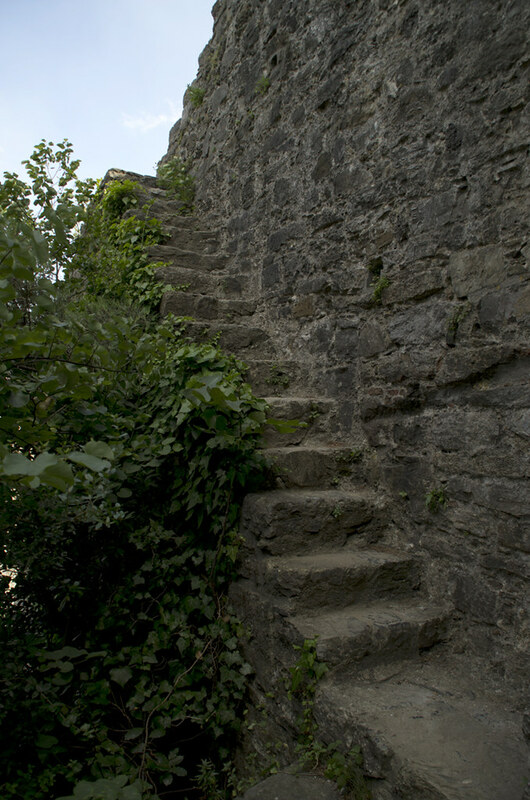 Inside the towers are closed but the stairs are open and you can really climb pretty high along the walls. 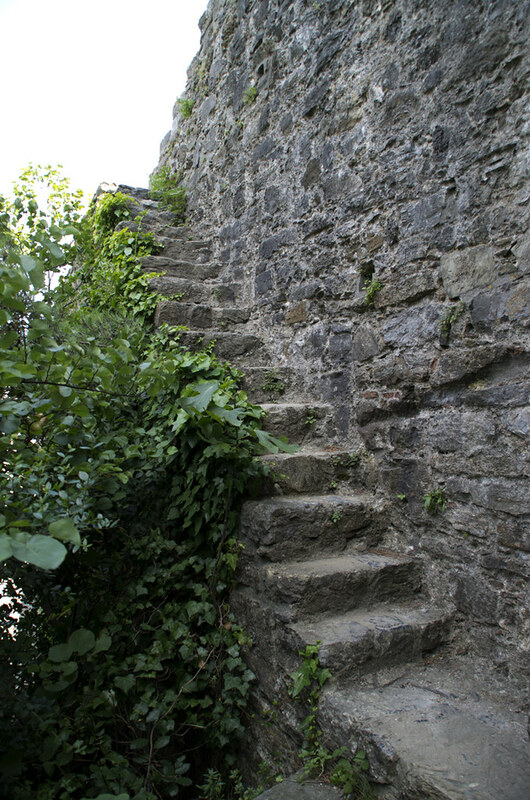 The architecture is nice because there are a tons of staircases to take you to ever corner of the castle. There is also a large amphitheater in the center! 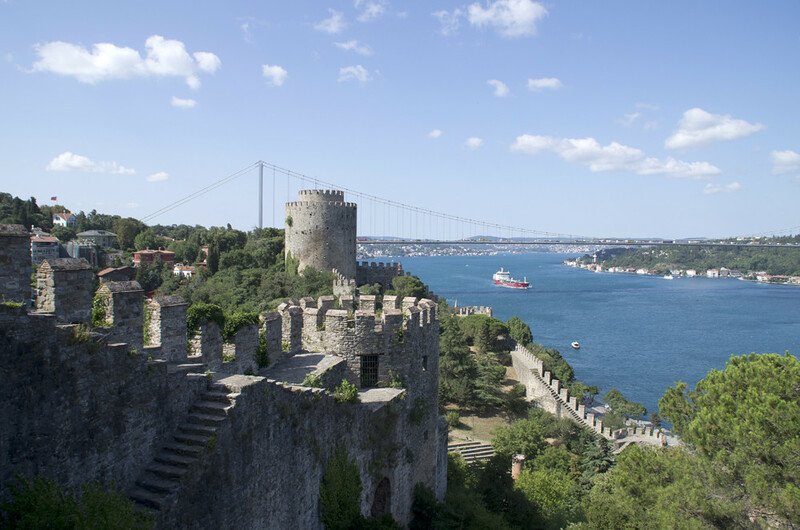 Even though it was windy we climbed pretty high (safely of course) and have some awesome views of the castle, the Bosphorous, and the bridge which connects Europe to Asia. 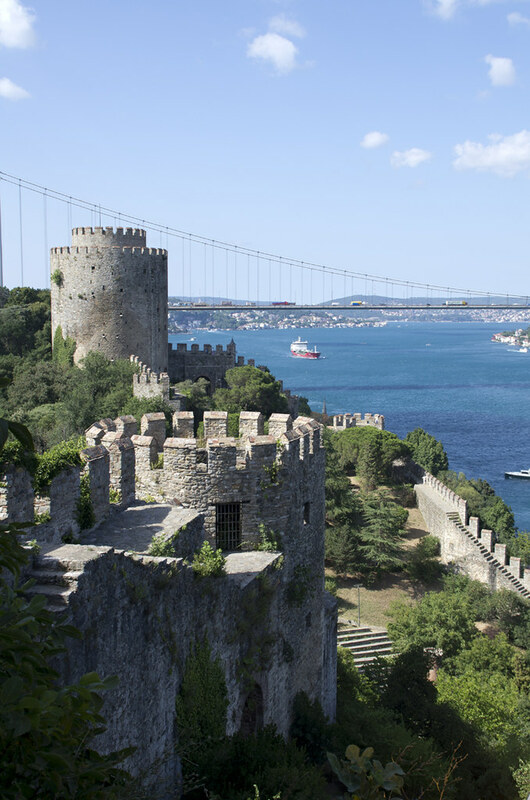 Our work for the day pretty much done – we caught a cab to Istanbul Cevahir. Catching the cab was easy – getting there was hard. At first I thought he was giving us the runaround but traffic was really bad and he was trying to get us there as best he could. He loved that we were Americans! He kept popping in CDs, first The Eagles Hotel California and then Bob Dylan – he didn’t speak any English but boy was he trying to entertain us (and himself). We did finally make it though. He seemed embarrassed by the traffic – I think he started to think we thought he was cheating us (which we did until we got there). 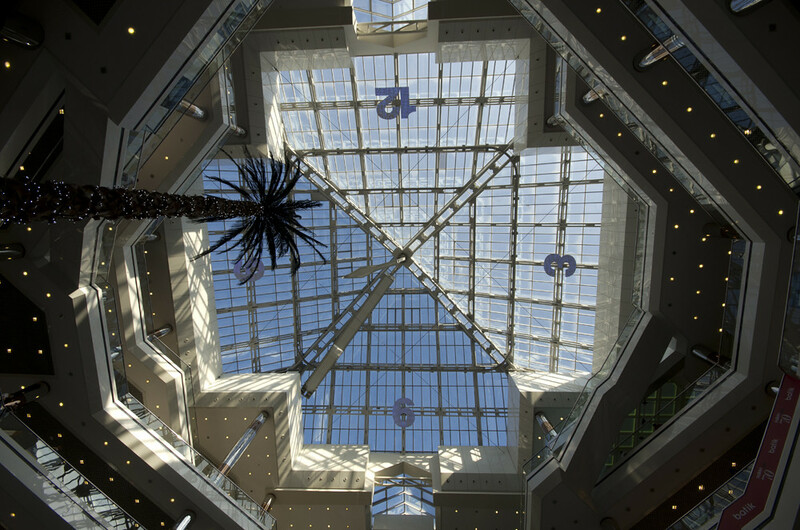 Istanbul Cevahir is the largest mall in Europe and the 6th largest mall in the world. The have the 2nd largest clock in the world (when you look up it is the entire pavilion ceiling – but it wasn’t working). They have 5 floors of shopping, a 6th floor of food court, and a 7th floor of restaurants. A bowling alley, a roller coaster, and a movie theater. So first things first – there was nothing showing at the movie theater we wanted to see. Batman it turns out was not yet released in Turkey (so I will need to wait until I come home). Our second task was to eat food that wasn’t …. well wasn’t kabob. After a few weeks you do want something else. 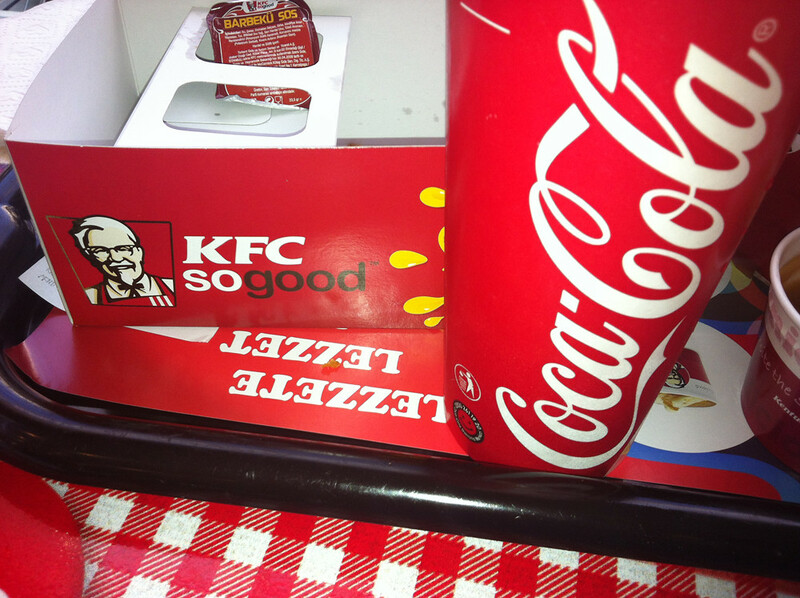 We settled on KFC so we could compare American KFC to Turkish KFC. Folks, ours is better, there’s is still good but ours is better. 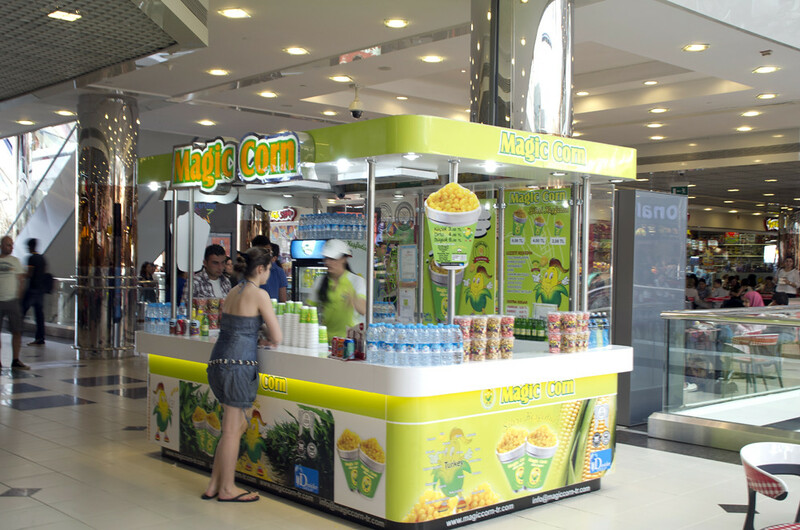 We also had a staple of Turkish malls – Magic Corn. Do you know what makes Magic Corn magic? Butter – that’s right – its a cup of buttered corn. I am told it (butter) also makes Turkish rice magical as well. 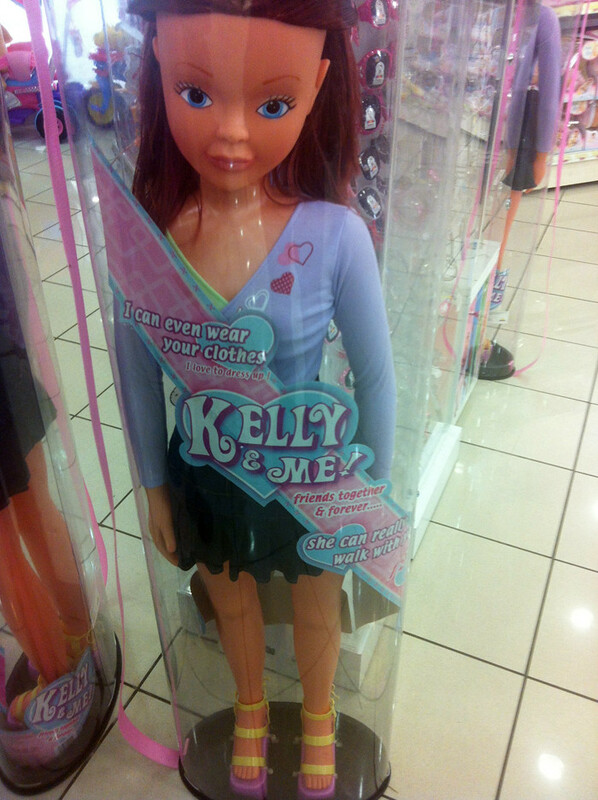 As for shopping – its a mall – I don’t want clothes and I can’t bring home appliances and except for the very spooky life sized doll Kelly & Me doll at the toy store (see pics) I don’t have much to report. Getting back was easy – just two trams. 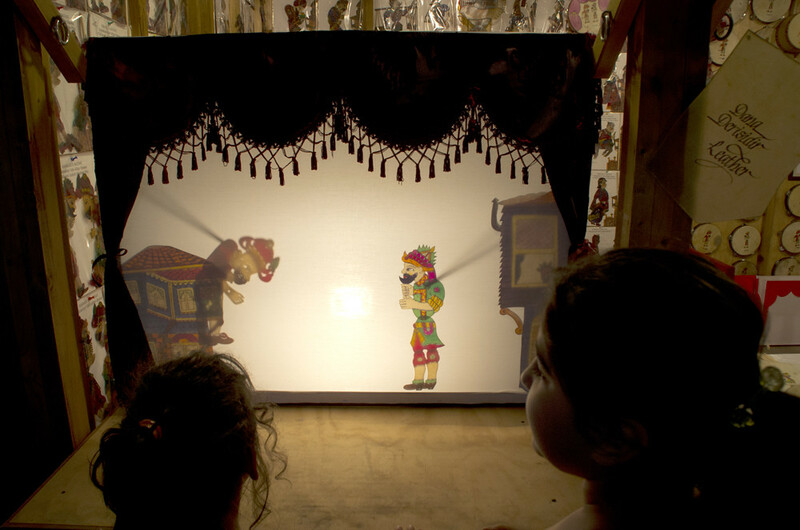 The arts festival that we walked through every night was in full swing for Ramadan and we did some more filming – what I really wanted to see again was the Turkish leather shadow theater puppets. Not only was the workmanship amazing but the guy selling them was putting on a performance that really mesmerized the crowd. I have no idea what he was saying but he was good! Tomorrow is all about shopping!